When leaders at Johns Hopkins Health System set out to eliminate wasteful clinical practices across the organization, they started with blood transfusions. Although the system had a number of areas it could have focused on first, unnecessary blood transfusions were on the industry's radar back in 2012, when Johns Hopkins began its effort. Using a consistently applied and closely monitored set of procedures, Johns Hopkins was able to save $2 million a year and consume fewer bags of difficult-to-collect blood. More importantly, the academic health system created a template for reducing waste across the organization, allowing its quality oversight managers to pick through other areas with a lot of potential for eliminating waste. Today all clinical departments work on reducing low-value practices with support from the Johns Hopkins High Value Care Committee, which involves groups of clinicians across disciplines who look for literature available in their specialties that challenges established practices. "It has become an army at this point—across the whole institution we have people working on it," said Dr. Pamela Johnson, physician lead of the committee. Like Johns Hopkins, other hospitals and health systems are picking apart just about everything they do clinically to try to eliminate waste, seeking efficiencies in sometimes unusual areas, such as vitamin deficiency testing and inpatient use of oxygen. After all, about 30% of healthcare spending each year is deemed wasteful, which includes spending on unnecessary care along with excess administrative spending and fraud, according to the National Academies of Sciences, Engineering and Medicine. 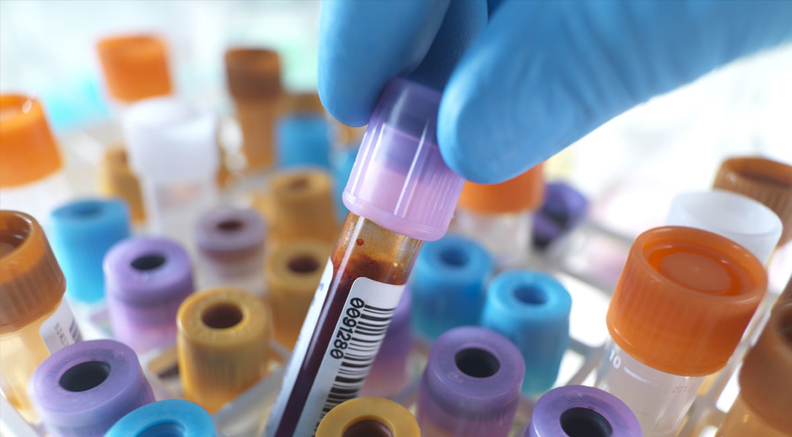 Johns Hopkins' initiative began about the time that the Joint Commission had named blood transfusions as one of the industry's most wasteful areas of practice. Some studies estimate that as much as 40% of U.S. blood transfusions are unnecessary. The practice is a mainstay of healthcare and clinicians have been taught since medical school to give patients two units of blood whenever they require a transfusion. But recent research shows that one unit usually is just as safe and effective for patients who aren't actively bleeding. "No one questioned the rationale behind it," said Dr. Steve Frank, an anesthesiologist at Johns Hopkins. With support from leadership, Frank began a blood management program to change how the system administered transfusions. The initiative involved educating staff on the new policy, frequently using the phrase "Why give two when one will do?" An advisory alert was then established in the electronic health record to check blood units ordered and message clinicians if they went against the guidelines. The system even sends out monthly reports to each department showing their compliance with the transfusion guidelines. Physicians are notoriously competitive, so the tactic encourages doctors to keep the issue top-of-mind. The program started at flagship facility Johns Hopkins Hospital in Baltimore and then was rolled out across the system's four other acute-care hospitals in 2015. The same approach was taken with other targeted areas, including ongoing work to reduce unnecessary lab orders. Johnson said it was the establishment of the High Value Care Committee in 2014 that signaled to clinicians that reducing low-value services was a priority systemwide. Clinicians across the organization were called on to join the effort, and it changed the culture, she said. The providers now question traditionally held practices and guidelines, so that Johnson gets emails almost every week from doctors, advanced practice providers and nurses across the organization about opportunities they see to eliminate wasteful practices. "Everyone is thinking about it across the whole institution," she said. "We are even making sure the future generation" of clinicians is well-trained in the practice. But why are hospitals still dealing with the problem of low-value care more than 15 years after the first healthcare organization was awarded a Malcolm Baldrige National Quality Award, which recognizes efficiency among providers and encourages the widespread embrace of the Lean Six Sigma program? Experts say the problem starts in medical school, where students are taught it's best to rule out all possibilities before landing on a diagnosis. And it's reinforced by a reimbursement model that only encourages waste by creating incentives for doctors and hospitals to order more services. "The (current) payment system is of course a driver of low-value care," said Alexander Mainor, research project coordinator at the Dartmouth Institute for Health Policy and Clinical Practice who has studied unnecessary care in healthcare. But as health systems find more and more of their payment tied to better outcomes and lower costs in the push to value, the ability to eliminate waste is going to be critical. "The transition to value-based payment is going to be an important mechanism for the reduction of low-value services," Mainor said. "While we haven't yet seen many changes in spending as a result of some of the value-based payment mechanisms, it is redirecting the focus for organizations to be more value-centric and actually looking at cost, quality and outcomes." Health systems trying to reduce low-value services typically rely on evidence-based recommendations as their starting point, as did Kaiser Permanente Northwest in trying to reduce unnecessary screening for vitamin D deficiency. Dr. Andy Felcher, an internist at Kaiser, was inspired to look at this problem in 2014 after the American Society for Clinical Pathology and other specialty societies recommended against testing patients for vitamin D deficiency unless they are considered high-risk. The tests are costly to the healthcare system. In 2011, Medicare spent $224 million on vitamin D tests for seniors, most of which were likely unnecessary, according to Kaiser. Felcher gathered a group of Kaiser endocrinologists to come up with a list of guidelines on appropriate vitamin D screening they all agreed on. The doctors decided screening was appropriate for patients with osteoporosis as well as for patients with conditions that make it difficult for their body to absorb vitamin D, such as chronic kidney disease. Patients who take medications that hinder vitamin D absorption should also be screened. To get the word out to Kaiser clinicians on the new guidelines, the system created a pop-up alert in the EHR whenever providers ordered the test explaining the recommendations. It's a common tactic for health systems to use the EHR to inform clinicians about low-value care, Dartmouth's Mainor said. But he cautioned that leaders need to be thoughtful about how often and where they place the EHR alerts because clinicians can experience "alert fatigue" and no longer pay attention to them. Felcher said the health system received "no complaints" from staff regarding the vitamin D deficiency alerts. To prevent overloading clinicians with pop-ups, all new alerts must be approved by the medical group's department of medical information before implementation. "It's definitely a balance," he said in an email. "However, in general, alerts that center around evidence-based practices and provide medically useful information seem to be considered less like an alert and more like education." Total vitamin D screenings at Kaiser dropped 67.6% over six month, from 74 tests per 1,000 patients to 24 tests per 1,000 patients. Inappropriate vitamin D testing also decreased from 44% of those tests to 30%. The effort has saved Kaiser Northwest an estimated $1.4 million annually. But where a system should begin on its efforts to target low-value care isn't always so cut and dried. Sometimes it's hard for an organization to decide what low-value care means because so many factors are at play, said Beth Beaudin-Seiler, a healthcare research analyst at Altarum. An organization must consider the cost to the system as well as the effects the initiatives will have on patients and outcomes. "Sometimes a recommendation requires a lot of clinical nuance—in this case it's OK, but in this case it's not—and that nuance doesn't always show up in claims data and we need to understand that," Beaudin-Seiler added. At University of Utah Health, cost information helps the organization decide where there are opportunities to weed out waste, but it's only one piece of the equation. In 2012, the system developed a value-based outcomes tool, which factors in all the costs associated with specific procedures and tests including labor costs. The tool has helped the organization reduce spending on unnecessary services. For example, the system has eliminated inefficiencies in lab orders, saving nearly 10% per patient visit or an estimated $1.5 million each year. But changes are only made if they will maintain or improve quality and health outcomes for patients, said Dr. Claire Ciarkowski, a hospitalist at University of Utah Health working on the lab over-testing effort. "Ultimately you want to decrease cost, but you don't want to sacrifice quality and service, so it's looking at the whole equation," she said. "You never want to say, 'I'm not going to do something because it costs too much,' you always want to think about quality first." This mindset is instilled in all clinicians at University of Utah Health so when any cost-cutting measures are implemented, quality data are closely monitored to ensure outcomes have either remained the same or improved. In order to make a sustainable impact on waste in a system, capturing the full support of leadership and clinicians is vital, experts say. Clinicians not only have to be convinced they should change how they have always practiced, but it also requires the organization to make significant investments in data analytics to understand where improvements are needed and if changes are working. "For a provider organization, this work is incredibly resource-intensive," Mainor said. "You are trying to change the culture and get everyone on board, and you have to choose the right data sources to use." Dr. Joseph Weigel can relate to the challenges associated with changing the culture in his work. As program director of the internal medical residency program at LifePoint Health's Lake Cumberland Regional Hospital in Somerset, Ky., his goal was to decrease unnecessary oxygen utilization in the inpatient settings. Weigel said "systemwide buy-in for quality improvement projects" is critical, adding that he relies on the support he gets from hospital and system leadership to stick with his project. "I think most health systems are finding out that there are opportunities for cost savings across the board and improvement in patient-care metrics, but convincing people they need to do something differently from what they've been doing for a long time is hard to do," he said.